The modern Billroth Hospital in Chennai India. 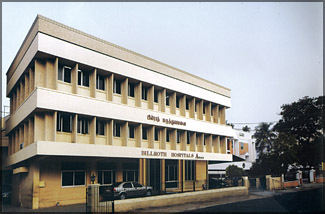 Billroth Hospitals was launched on November, 30,1990 by the late Dr. V. Jeganathan. Besides being the Chairman of Billroth Hospitals, India, Dr. Jeganathan was one of the leading Surgical Gastroenterologists, Laser and Laparaoscopic surgeons. His focus was to offer medical care to people from all walks of life, with a commitment to quality and affordability. Billroth Hospitals is on track to its fruition. Today, it provides services by nursing patients in assorted branches of medical and surgical treatment with 600 bedded super speciality hospital situated at Shenoy Nagar R. A. Puram in Chennai, India. This fruition is not inadvertent but i is the sheer outcome of perceptive participation and ethical practices undertaken by the Billroth team to achieve the objective. To reach the millions with affordable health care. Managing Director, Billroth Hospitals Dr. Rajesh Jeganathan addressing the gathering at Cinnamon Grand Hotel, Colombo. On his left are Dr. K. Ravi, Consultant to Billroth Group and Chandra Mohotti one of the distinguished invitees. Mission: "To provide medical services of the height of quality and efficiency in the most professional and effective manner, with the sole determination of making things better for our patients." Vission: To become a name synonymous with expert medical care all over the country." 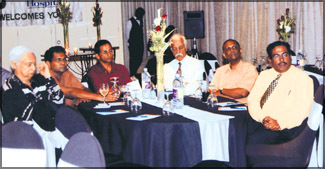 The reputed Indian Hospital group The Billroth Hospital had a presentation of their services and facilities to a large and representative group of medical professionals and doctors at the Cinnamon Grand Hotel, Colombo last week. The young and energetic managing director of the Billroth Group Dr. Rajesh Jeganatha made the impression presentation of a host of medical facilities available ranging from cancer care to paediatrics. The latest equipment and diagnostic technology was explained. Billroth Hospitals are on a promotional campaign in South Asian Countries in a bid to offer its services to a wide range of patients with affordable prices and exceptional care. The next course of the Postgraduate Diploma in Health Development, conducted by the Faculty of Medicine, University of Colombo, will commence in May 2008. 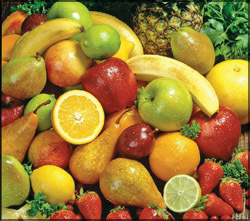 This course attempts to give a broad overview of health and issues related to health. A special feature of the course is its emphasis towards development aspects of health. To achieve this objective the entire course curriculum has been designed using a multidisciplinary approach. The present curriculum has been prepared from the experience gained from the previous courses. The course is specially aimed at professionals who are working in health and health related areas in the public, private, or non-profit making organisations. Entry requirements are a first degree from a recognised university, or a professional qualifications and experience of at least one year in a health related field which is acceptable to the University, and a good knowledge of English language. The course is conducted in English medium. It contains several modules. They include, Basic Concepts in Health, Health Interventions, Health Systems, Society Health and Behaviour, Organisation of Health Services and Management, Health Resources and Economics, Health Ethics, Human Rights and Law, and Challenges and Options for the future (case scenarios). The teaching methods include learning opportunities other than didactic lectures, such as assignments, debates, student seminars and small group discussions. It is conducted in weekends (Friday evenings and Saturday) for a duration of 12 months. Further particulars and application forms (free of charge) may be obtained from Prof. Ravindra Fernando, the Course Director, Health Development and Research Programme (HDRP, Faculty of Medicine, P.O. Box 271, Kynsey Road, Colombo 8. (Tel. No. 011-2694016, 2286142). If you have been diagnosed with prediabetes (having higher than normal blood sugar levels, but not yet in the range of diabetes) or type 2 diabetes, you can help alleviate or even reverse your condition with four fairly simple lifestyle changes: Get daily physical activity. Exercise improves the action of insulin, moving glucose out of the bloodstream and into tissues where it can be used for energy. Maintain a healthy weight. If you are overweight, the more pounds you lose, the lower your chances of developing diabetes. Talk with your doctor about what your optimum weight should be, and how to achieve it. Eat a diet low in refined carbohydrates, and incorporate fresh fruits, vegetables, whole grains and monounsaturated fats (such as olive oil) into your diet. Dr. Kapila Jayaratne, Senior Registrar in Community Medicine of Family Health Bureau, Ministry of Healthcare and Nutrition, has been awarded the prestigious Donald Court Visiting Fellowship by the Royal College of Paediatrics and Child Health (RCPCH), United Kingdom. His extensive field work and research in the field of child health has been taken into consideration in selection for this fellowship which is awarded annually for the medical professionals worldwide involved in community child health. Under this fellowship, Dr. Jayaratne is to undergo a three week training in childhood disability at Nottingham University Hospital. 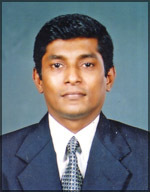 In addition, he has been selected to present a scientific paper on 'Musculoskeletal Pain among school-going adolescents - a prevalence study in South Asia' based on his research on Sri Lankan schoolchildren at the Spring Meeting of the Royal College of Paediatrics and Child Health held from April 14 to 17 at the York University.